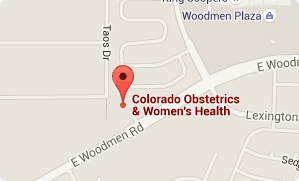 Only you can decide what is most important to you when it comes to the things you want and need in your OB/GYN. If you are seeing a gynecologist who also practices obstetrics, and you are considering getting pregnant, you can ask your doctor to care for you during your pregnancy. If not, your gynecologist is a good person to ask for a referral to an obstetrician. Another great source for referrals is your circle of friends and relatives who live in your area. If someone you know and trust has an OB/GYN they love, ask her for the contact info for that doctor. 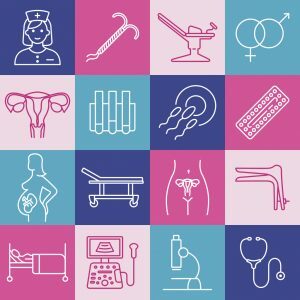 If all else fails and you don’t have a good referral source, the American Congress of Obstetricians and Gynecologists (ACOG) physician directory is an online resource for both members and the public to assist in locating an OB/GYN in your area simply by entering your zip code. There are certain basic questions you should ask of any OB/GYN to help determine if the two of you are a good fit. After locating a potential candidate in your area (you don’t want to travel too far in case of an emergency), think about your health history. If you are over the age of 40, have had previous pregnancies with problems, or have a chronic illness such as high blood pressure, epilepsy, heart disease, diabetes, or chronic fatigue, find out if the doctor you are considering has any experience dealing with these conditions in their pregnant patients. If you have had a C-section in the past but would like to have a vaginal birth (VBAC), ask if the doctor and hospital you are considering are supportive. Do you want a doula or other advocate present at appointments, classes, and during labor and delivery? If so, make sure this is allowed by and supported by both your doctor and the birthing center or hospital. Do you have strong opinions about how to handle issues that may arise during your pregnancy and delivery and afterwards, such as fetal monitoring, episiotomy, medication/IVs during labor, breastfeeding, stem cell collection, skin to skin bonding, or other post-partum activities? Discuss all these with your potential doctor before making a decision, as you will want to him or her to be on board with your ideas before entering into a doctor/patient relationship. If you are not comfortable for any reason, don’t feel as though it is easy to communicate with or understand your doctor, or you aren’t sure if the doctor will respect your wishes, keep looking.